Alright, so what happened to Day 5? Uh, Senior Design, that's what happen; we had our second deliverable testing and our testing was still not functioning correctly. Three words: GPS, UART, UGH. Anyway, I didn't sleep until 5AM Day 4 into Day 5. And then woke up at 9AM. Actually, it was more like I was jolted awake by my thoughts of our spineless GPS module still not working! I knew yesterday was going to be long the moment I woke up. Like I said, I was a little anxious that by testing time, 7:30PM, nothing would work and then there were also the facts that I still had a homework assignment to start and finish and a quiz in Chinese I hadn't studied for yet. Yeah! So I forwent the usual cereal for a tasty and nutritious omelet! 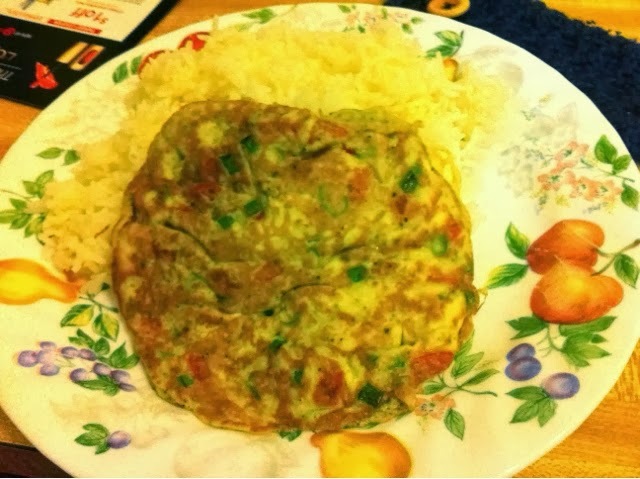 A single egg with peppers, scallions, and salt and black pepper, a favorite flavor combination of mine. 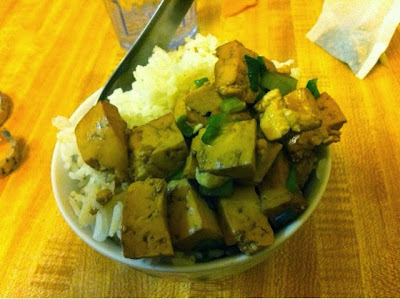 And then for dinner, I had rice and braised tofu, flavored with scallions, soy sauce, and pepper flakes. After dinner, we finally tested, and everyone was considerably happier afterwards. Even during the delusional later hours when we were completing a homework assignment due at midnight. Throughout this process though, I ate my snack foods, cookies and chips, to keep me going. What that means is that I won't have snack foods next week. Yeah, so that was yesterday. As for today, a lot more relaxed. I still had a lot of things to do but not waking up panicked helped. I spent a good portion of today at the print studio where time escaped me. I didn't get back to eat lunch from the print studio until 3pm. But that's ok. Like I said day 1: remembering to eat and to eat on time is something I need to work on. Oh, and, that's right, there was a snowstorm today. My days are just so long that I forget it's a single day. 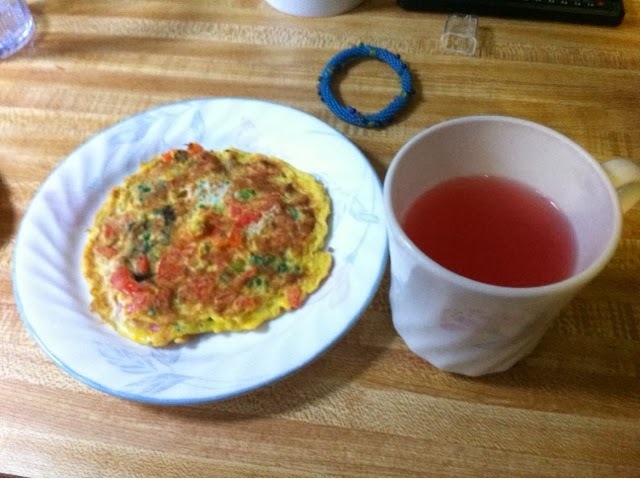 Okay, back to food, I had cereal for breakfast, leftover tofu and rice for lunch, and an omelet and rice for dinner. Pretty boring but today was kind of a recovery day. 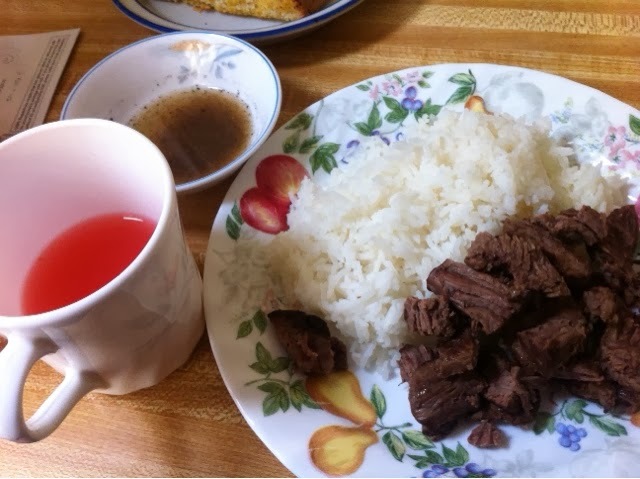 I guess my last remarks for these past couple days is that yay, somehow, I managed to continue to cook food throughout the madness that is senior year.